Graduation day for UL students is quickly approaching. Today, the Alumni Center hosted UL’s grad expo. Soon to be graduates secured their caps, gowns, class rings and were also able to meet with representatives from the alumni association and career services as they plan for commencement. Future graduate Erin Boudoin says the expo was very helpful in preparing her for the big day. 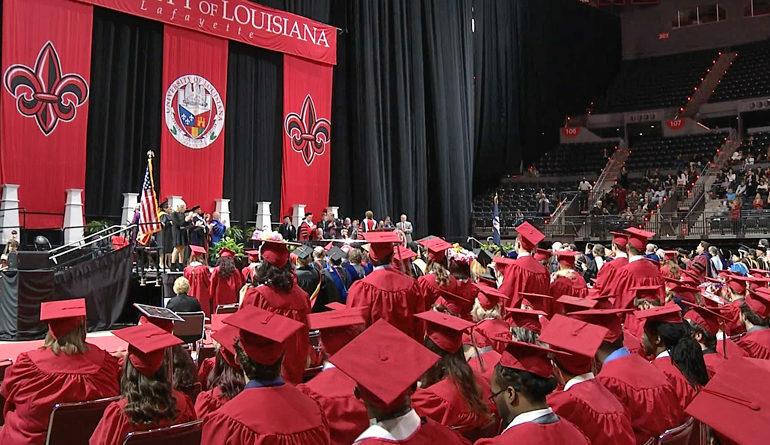 Graduation day for UL students is may 17th at the Cajun-dome.